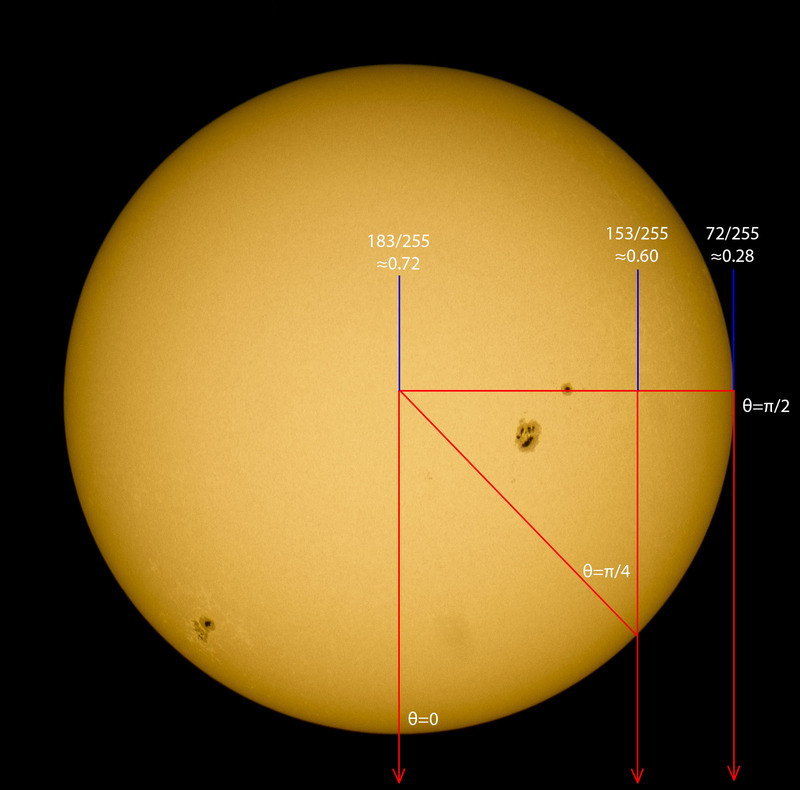 In the figure below, I have added 3 blue bars on the Sun’s disk, with their corresponding angles. 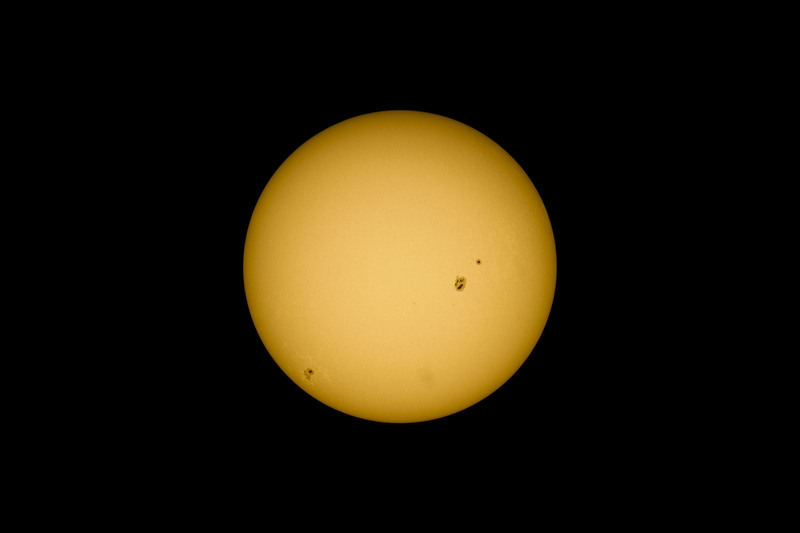 The intensities given by measuring the mean pixel values that my DSLR gives me, are probably not the most accurate, but they are the best I can do (the intensity gradient is probably altered by the used solar filter and the DSLR settings). I have normalized the mean values with the maximum pixel value of 255 so that my measured values become 0.72 in the center, 0.60 at 71% of the radius and 0.28 at the edge of the Sun. In the table below I have listed the measured values and those given by the equation I showed you. The fact that the value for theta=0 is the same was to be expected since I used this as the center intensity. The fact that the other 2 values correspond very good however, comes as quite a surprise. I didn’t really expect it to be this accurate, but the changes in contrast caused by the equipment and software seem to balance out pretty good. This entry was posted in Astronomy, Astrophotography, Physics, Uncategorized and tagged astrophotography, astrophysics, limb darkening, physics, Sun, telescope. Bookmark the permalink.